Due to continuing snow in Seattle, this concert has been postponed. Stay tuned for a new date! 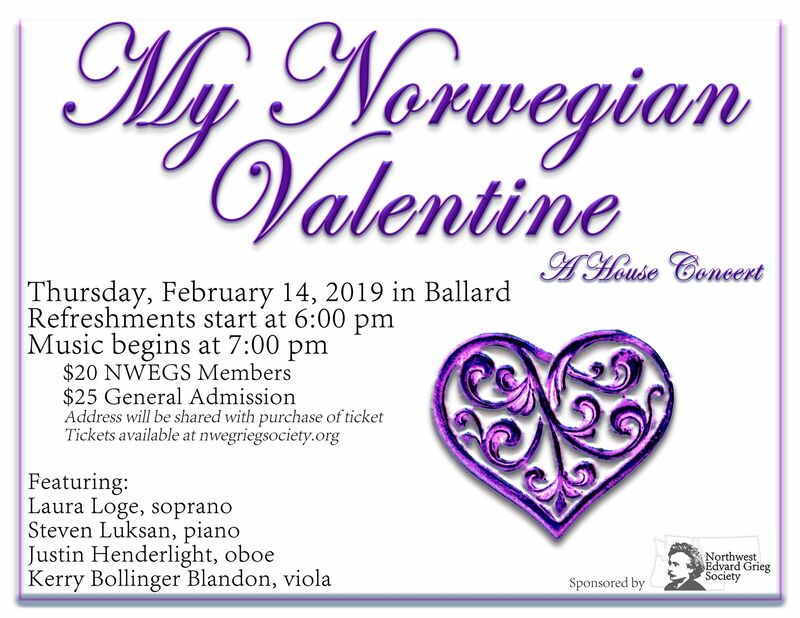 The Northwest Edvard Grieg Society invites you to an evening of romantic music and refreshments. 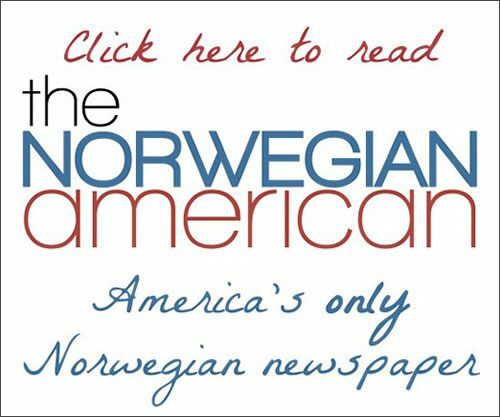 Come celebrate Valentine’s day with songs and chamber music highlighting Norwegian music by Edvard Grieg, Steven Luksan and more. Refreshments and a light dinner begin at 6:00 p.m.
Music begins at 7:00 p.m. Featuring NWEGS favorites Laura Loge, soprano, Steven Luksan, piano, Justin Henderlight, oboe and Kerry Bollinger Blandon, viola. As this is a house concert in a private home, the Ballard address will be provided upon purchase of your ticket.